I can’t believe I haven’t shared these with you. 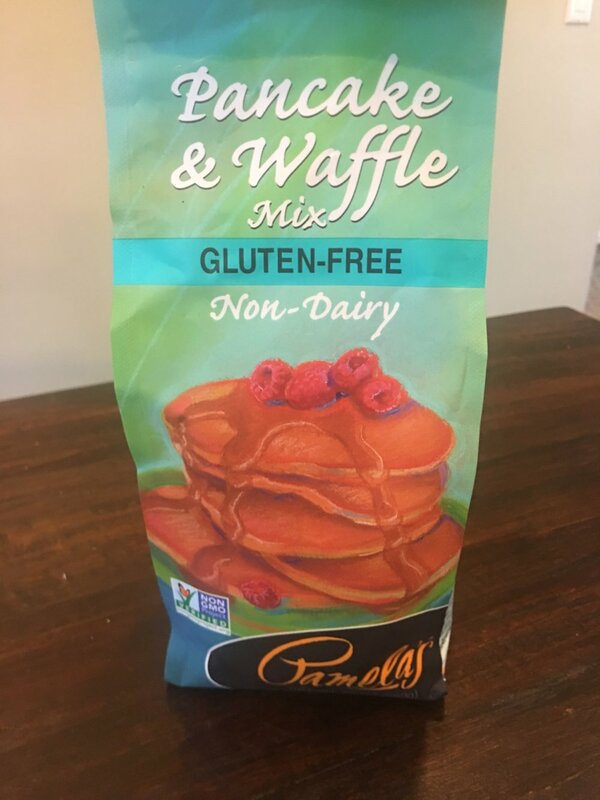 A friend was asking if I had a good gluten free pancake recipe and I thought, of course it’s on my blog. But then looked and found that it was super outdated. I’ve since changed up my ingredients and had to share the update with you. Gluten doesn’t agree with anyone in my family so I don’t ever really keep products in my kitchen that contain it. Everyone loves a good pancake so I had to perfect my recipe to meet the demand. The version I make most often contains banana so you’ll taste of bit of that flavor. If you’re not a fan of bananas, you can swap it out for apple sauce which doesn’t come thru in taste. I’ll make a big batch on the weekend to have a couple ready for my daughter before school during the week. That way, I don’t have to whip out all the ingredients and it just takes a few minutes to reheat on my cast iron skillet. Feel free to add blueberries, walnut or what ever tickles your fancy. I also like to sweeten my batter with honey, maple syrup or stevia to avoid over doing the syrup on the finished product to decrease the sugar content. However, if you love the ritual of drizzling syrup on your pancakes, you may want to leave out the sweetener in the prep. Stir and mix till you’ve reached a well combined smooth batter that’s not too thin and watery or thick and slow to stir. Once the skillet is hot add pancake batter to make the sized pancakes you desire. Once you see bubbles forming on the side that is up, flip the pancake and cook for another 2-3 minutes. Remove from skillet, serve while warm and add what ever toppings you chose. I top my daughters with goat’s milk butter and mine with more coconut oil. Join my tribe with your email address to receive news and updates.